We deal all Diesel Generators sales and services. We are authorsied OEM channels for reputed brands of DG Sets. We takeup AMC Contracts & all types of services related to Diesel Generators for Industrial and Commercial sectors. Sudhir’s rental power solutions serves multiple industries, companies and events across Dubai and rest of the world. Our staff has the knowledge and experience to work with you from design and equipment selection through to project installation and operation. 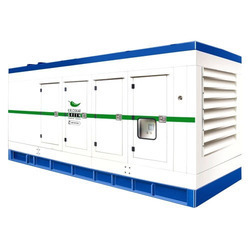 We offer Gas Based Generators on Rental from 500KW to Multi Megawatt solution. Hiring facilities are also available with us for complete range of DG’s during the down time of your engine and emergency period. A2Z Maintenance & Engineering Service Ltd.
Sawarn Generators provides expert services for rental power systems, for all makes of diesel generator sets Sound-Proof and Non Sound-Proof as well. Supported by trained engineers and technicians, this assures that expert help is always available. We offer prompt generator maintenance and repair services in order to ensure that the generator performs flawlessly. Our adept engineers check each part of the generator to ensure it is defect free. They further ensure that the generator offers optimum performance. We offer all brands of Rented Generators to our clients. We are offering Rented Cummines Diesel Generators. It is made sure by our professionals that the products offered by us are in sync with clients' needs and requirements. Being a reputed name among of the diesel generators suppliers in India, we ensure delivery of the quality-approved products to the clients. We Provide rental services also. 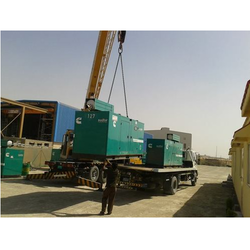 We are renowned service providers of Rental Generators.